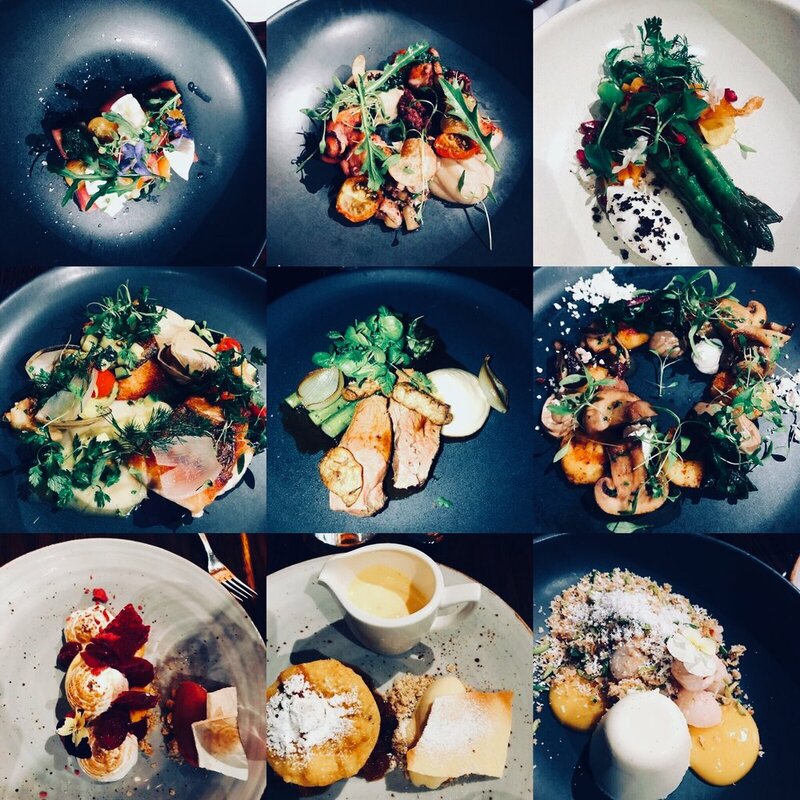 Located in Taranaki’s beautiful Port area, serving food crafted with love. Bach on Breakwater first opened its doors in 2006 & is situated at the end of the Coastal Walkway, right on the waterfront at the Lee Breakwater in Taranaki’s Port area. It overlooks a child-friendly little beach, and the working shipping harbour. The Bach is warm and casual, with a comfortable and welcoming ambience generated by the purple interior, the use of many upcycled materials and the mix of very old wharf timbers. With cosy banquette seating behind the fireplace, and slab timber tables lining the extensive double-glazed windows, the atmosphere is vibrant, friendly and fun, with terrific sea views. Diners can enjoy breakfast, brunch, lunch & snacks, choosing either from the delicious array of cabinet food or the extensive and well thought out menu which includes outstanding gluten free, vegetarian & vegan offerings, as well as the normal meatatarian choices. You can be on a diet and still enjoy yourself here! We have a variety of award wining wine, beer, Juices & hot drinks to choose from, including IncaFé Organic Coffee. with vanilla, sliced banana & drizzled with agave syrup. vegan version swaps the bacon for barbs fakebacon crisps & sesame agave dressing. This is also Fabulous! One of our oldest customers wished their Birthday Cake had been as good as ours, so we thought why not! Our Famous cakes can be baked for any occasion & come in a variety of sizes to suit the number of guests you are catering for. We can cater for everyone with many of our cakes being Gluten Free & of course VEGAN! We require 4-7 days notice for most cakes & for those last minute enquiries, we will try our best to help where possible! Prices vary depending on your requirements, so give us a call, email or pop in and talk to our baker and let Bach make your special event one to remember. Take all the stress away from hosting and enjoy an evening by the water. Whether it is with your Family, Friends or for your work function, Bach is the perfect place for you. Our private evenings include free hire of the whole venue for a minimum of 8 & maximum of 20 guests. Bach on Breakwater can be all yours for the evening to celebrate any special occasion, where Head Chef & Maître D will wine and dine you to the point you won’t want to leave! We have a selection of menus to suit your budget and can be tailor made for any dietary requirements including Vegetarian, Vegan, Gluten free options and any other requirements. We have ample free parking and what’s more you don’t have to do the dishes! The only 150 seater restaurant in Taranaki which can be yours for the evening to relax and enjoy with your guests. What better way to escape the hustle and bustle of the city?! Watch the sunset with drinks on the patio before you move through to your table for a meal you and your guests will never forget. One of the best ocean views in Taranaki and the opportunity to host an occasion is right here at Bach on Breakwater. Take advantage of the ample free parking or even the coastal walkway straight into the centre of town with an evening stroll home. We can cater for a 2 or 3 course set menu & even a cocktail evening for your family, friends or work colleagues. Our chefs will create a menu you will love and remember but are also happy to work with any ideas or requirements you have. With either a choice of a cash or an account bar, our selection of award winning Wine, Beers & Soft Drinks will certainly make your evening more enjoyable.